Kristin is an artist and writer. Her practice is inspired by the organic relationship of written choices and visual choices, which she uses to describe daily experiences. The verbal and visual sides of her creative process feed off one another to create a more complex result: her final pieces may be viewed as double-sided compositions, postcards, letters, personal maps, and/or prints. Her academic research focuses on the ways in which image-making and creative writing can be combined to enhance the teaching of creative process in the college classroom. 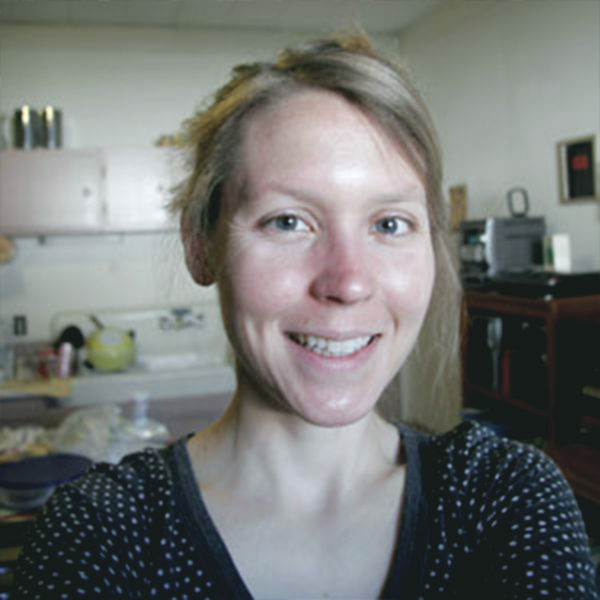 Kristin holds a MFA in Printmaking from Indiana University, Bloomington (2010) and a BFA in Photography from Rhode Island School of Design (2003). Good(bye) Buildings is a series of prints and postcards devoted to well-loved architectural structures. Some of the buildings are gone, some are endangered, and some are doing fine. The name Good(bye) comes from the idea that these older buildings are all in state of constant change, which is part of what makes them so captivating. Since the preservation of dilapidation is not possible, this series provides an outlet for commemorating the old, familiar structures that we love. Good(bye) Buildings aren’t just buildings that have been demolished. They’re also buildings that have gained a special physical and visual presence through many years of use.